A popular gift for US high school graduates is the Dr. Seuss book, “Oh the Places You’ll Go.” However, it turns out most US college students stick relatively close to home. Only 10 percent of US college students graduate with international experience, despite research indicating that graduates with international experience find employment faster and are more prepared than those without it. This past week, the 2017 IIE Summit on Generation Study Abroad brought together leaders and practitioners from education, government and business to discuss how to extend opportunities to US university students which would enable them to gain valuable skills abroad in tech, science, innovation, and solving some of the pressing problems in our interconnected world. 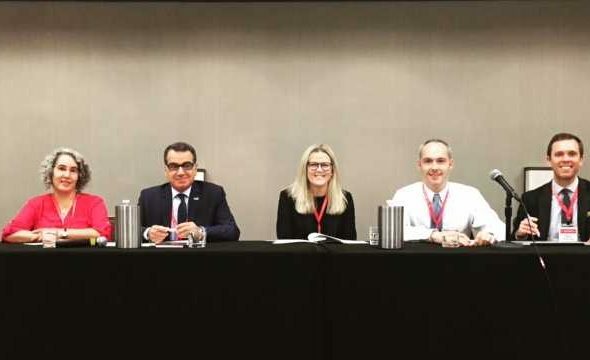 Jennifer Woodbridge, WYSE Travel Confederation Head of Policy & Destination Development, participated in a panel discussion at the Washington D.C. summit. The discussion, “Expanding study abroad to more than just ‘study,’” also included panelists James Bridge, of InterExchange, Nancy Erbstein, University of California, and Ahmad Ezzeddine, Wayne State University. Mark Overmann, InterExchange VP of External Affairs, served as the moderator. Woodbridge shared her expertise in the Australian youth travel market. Australia is a country which places a high value on experiences abroad for its young people. Australian universities encourage their students to take a gap year or time off during their studies to go overseas. She explained how Australian academia recognises the value of a work abroad, even when the work is not necessarily related to the student’s study programme. The widespread understanding is that experience abroad benefits the entire country when the student returns, through cultural exchange and knowledge sharing. Many other countries are following this model. The panel also addressed that lack of funding for US students, who already face high costs for their education, is a major deterrent. Furthermore, only approximately 6 percent of US citizens are passport holders.